The Three Graces Series by Nia Farrell. Three women. Six men. Things are about to get interesting. 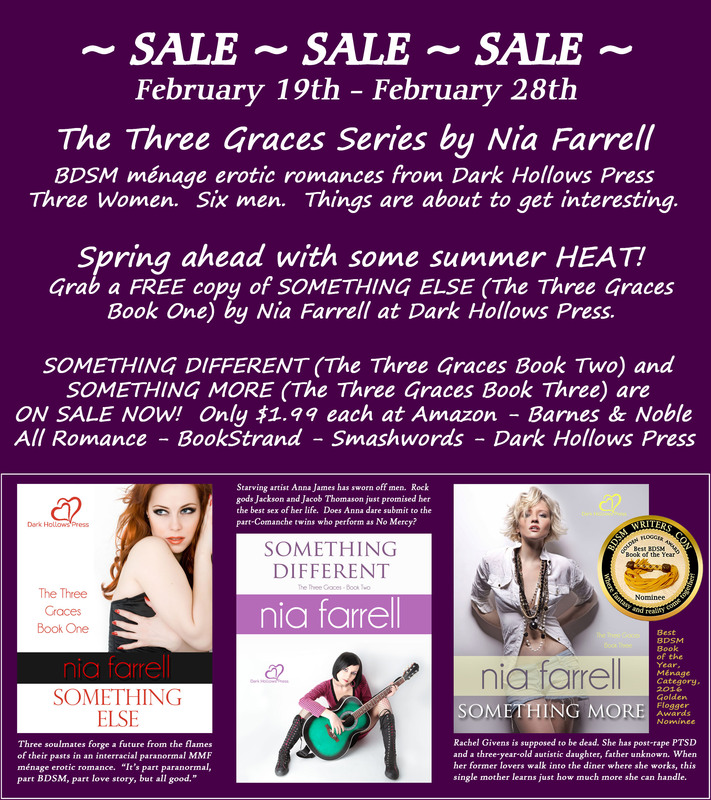 Bigger Sale from Nia Farrell!